With the luscious, savory richness of gluten-free miso, the comfort of rice noodles, and an abundance of vegetables, this gluten free soup with noodles is one seriously satisfying meal. In a small soup pot over medium-high heat, warm both oils. Add the white parts of the green onions, the carrot, and a few pinches of salt and cook, stirring often, until the carrot softens a bit, 3 to 4 minutes. Add the mushrooms and red pepper flakes and cook, stirring occasionally, until the mushrooms have softened and taken on a bit of color, 2 to 3 minutes longer. Add 6 cups of water, the tamari, and miso. Bring to a boil, stirring often to incorporate the miso into the water. 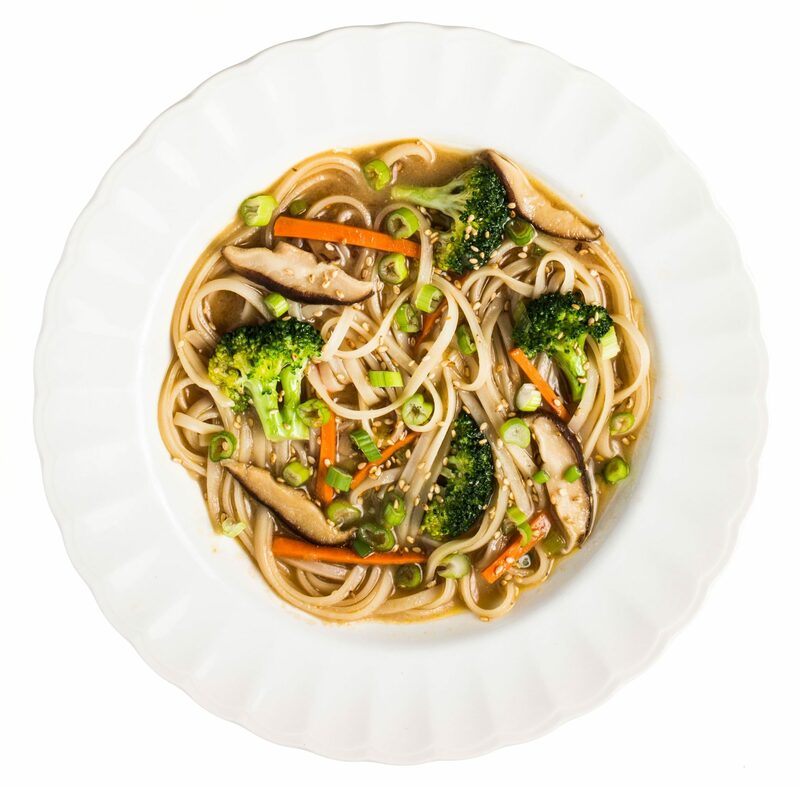 Lower the heat, stir in the broccoli and the noodles, and simmer until the noodles soften and the broccoli is bright green, 2 to 4 minutes, depending on the thickness of the noodles. Season to taste with salt, tamari, and sesame oil. Ladle the soup into bowls, garnish with the reserved green onions and sesame seeds, and serve.